Are you tired and exhausted working day in and out? You need a break because there can’t be anything as promising as the adventure that you can make time for during weekends. After all, you need to give a great start to Monday. There can’t be something more fun and innovative than the activity of paintball. Check these places before you regret your decision. The ambiance, the cost, the crowd etc. will be in favor of you. What are we waiting for then? Let’s get started with the list and the places in the cities of Delhi, Gurgaon and Bangalore that you can’t miss. Dam Dam Lake-Residential Outing Package, Gurgaon: If you are in and around Gurgaon and you need a short break from the monotony of office and business life, try this Dam Dam Lake which is a retreat for all travellers. Paintball in Gurgaon is quite popular and without trying it, your stay in Delhi-NCR will be incomplete. Apart from paint ball, you can try lot many activities that will only do the job of making you happier and joyful. Some of the activities that you might want to experience while in Dam Dam Lake are listed. The cost per person is affordable and you can definitely plan a day to this destination which is quite close. Being away from the crowd, you will have some of the best adventures with the feeling of being in heaven. Paintballs will be more exciting when you have people you know in the venture with you. Be ready to colour your friend’s clothes and accelerate the level of fun. Buy some time out of your busy schedule and get going with your friends and colleagues. You can also try the place with family for a birthday celebration or picnic. Kids and adults of all age can have fun in this place. 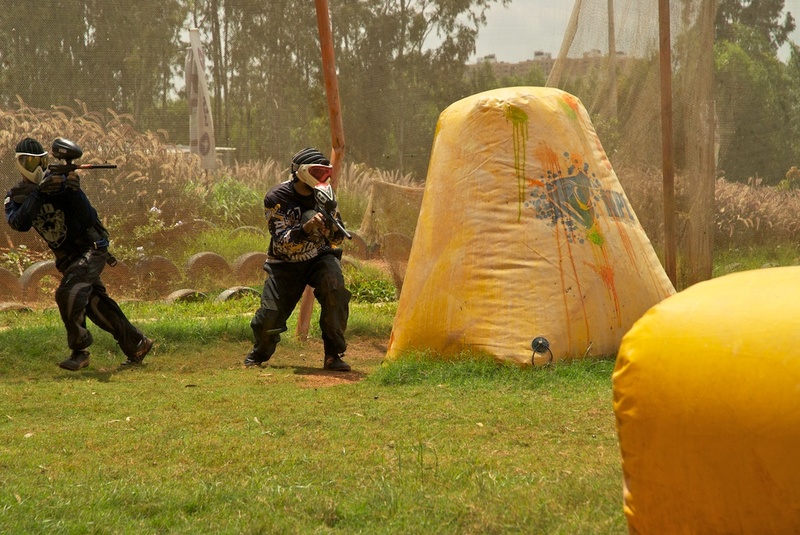 Bangalore Paintball destinations : While Bangalorites are busy with their office work throughout the week, the youths love to spend their weekends going paintballing. Paintball in Bangalore can be fun as there are many places where you can go with your loved ones and enjoy to the fullest. Sarjapura in Bangalore is a place you can go to for enjoying paintball sport with your friends and colleagues. 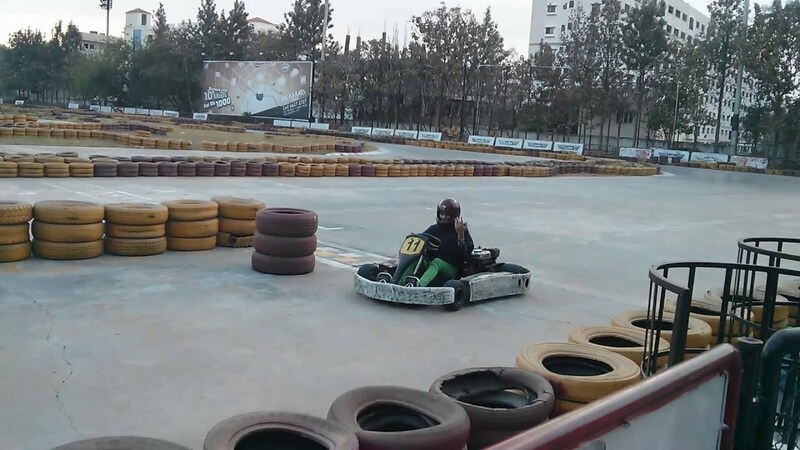 Another most desired sport activity that is Go-karting is also enjoyed in Sarjapura. With one stone, you kill two birds by visiting this place. The paintball arena has been designed to give the feel of a war. You can form two teams and declare wars. Use your paintballs to shoot against each other. The fun starts with colors splashing on each other and you can only hear giggles and laughter. The cost per person is quite affordable and within most of yours’ budget. With so less, you get to do two activities and that’s the reason, most of the school and college students love to go to this place. Another exciting destination in Bangalore for paintball lovers is Ramanagar. The place is quite natural looking when compared to other paintball destinations and attracts more crowds every weekend and holiday. If you are looking for a place that doesn’t dent your pocket, then this can be an idle choice for you as the first paintball cost you unbelievably less. The arena has been decorated in such a way that it looks like a real battlefield and this appearance excites the players more. This getaway is more like a resort than just a paintball destination. You can have an hour’s drive and reach the Electronic city. This destination has gorgeous location as well as serenity that you can’t find elsewhere in Bangalore. Together with paintballing, one can book rooms that are well furnished and comfortable for a relaxing evening. The rooms are affordable and make for a great expenditure when it comes to enjoying with friends and families. As the paintball destination is located on the outskirts, people prefer spending one night in the same place for enjoying the scenic beauty away from the crowd of the city life. You can plan your visit ahead so that you have more exciting offers coming your way. If you have a huge group interested for paintball activity and you know that the rest of the places can’t accommodate all at once, you can opt for Yelahanka. You will be shocked to know that 70 people at a time can participate and enjoy the funny activity to the fullest with no compromise on the fun. As your entire group wants to participate, you will have more pleasure to acquire. The interesting part is that the cost per person is also affordable and not too expensive. 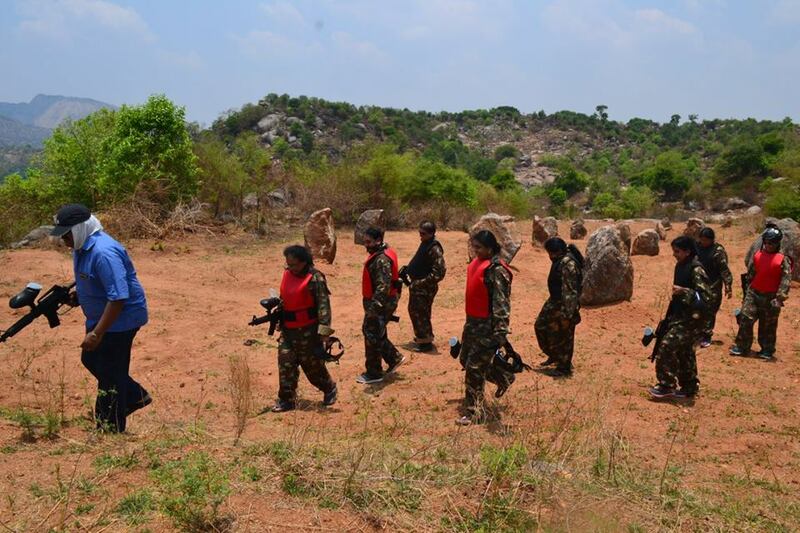 So, young boys and girls, elderlies and students can enjoy paintball in the above mentioned destination in Bangalore. You will love the experience there and will want to go every time you are free and need a relaxation. Paintball is highly energetic activity and it also helps you maintain the fitness level which otherwise is a task. Apart from Bangalore and Gurgaon, if you are a Delhiite and love paintballing with friends, the city has a lot for you to choose from. Paintball in Delhi is one of the best activities that people like to go for. Badshahpur is located in the Delhi-NCR region and knows for its serene ambiance. The paintball activity is known as The Columbian Counter Attack and although the cost per person is on the higher side, people don’t mind spending and enjoying some fun time here. It is not too far from Delhi and is a paintball hub for people from the Delhi-NCR region. The place is also great for an overnight stay with exquisite food and drinks that you get there. The rooms are well-maintained and comfortable for your night to be spent without any difficulty. You can choose this place for different occasions and team outing. Let us have a sneak peek into what the possibilities are. You can come along with your office colleagues as a corporate outing and get overwhelmed by the place and the scope of enjoyment. Come with family and have some time for one another. Is it your friend’s birthday bash? Why not make the most out of it? Paintball is quite popular and so is Go Karting. Go Karting in Bangalore is like an everyday affair. The youths of Bangalore love to spend time in this lovely and adventurous sport. There can’t be anyone who doesn’t like the impact of go karting. It is so thrilling and exciting that it can make the saddest person on earth happier and pleased. Sarjapur is known for go Karting and more adventure that awaits you. As the place is not too far from the city’s hustle bustle, anyone can reach there without a hassle. The cost is slightly on the higher side when compared to the rest of the adventures we have talked about. Nevertheless, you enjoy the best moment of your life when you take this ride as nothing can beat the experience and feeling when you are in the sky with your family or loved ones. It is advisable to book in advance to avoid the hassle that can otherwise stress you. Birthday Celebration : If it is your best man or woman’s birthday, why not give him or her privilege of feeling special by booking the aircraft joyride. It is unique and can make anyone feel the most special. It is important that you remember the date of birth so that you can plan things accordingly. 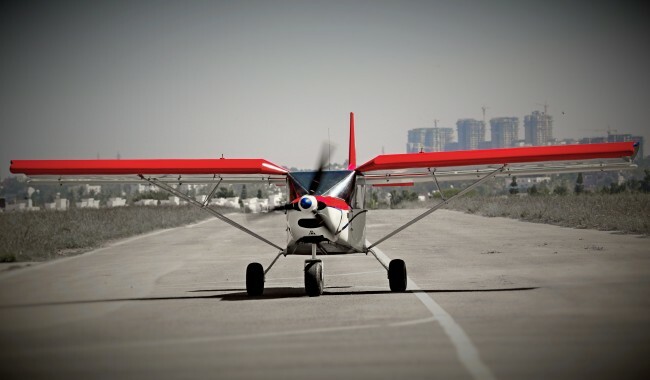 Valentine’s Day : How about making the romantic day the most romantic by opting for the Microlight Aircraft in Bangalore? Your partner will not believe the surprise and will be head over heels for you once again. Let the spark in your relationship not die and gift it something that the world will talk about. Many couples have tried this activity and recommended it for other lovely couples who are madly in love. 25th Anniversary : Is it the silver jubilee of your married life? Why not make it special? If you are in Bangalore, then you have the option of Aircraft joyride that will freshen up your old memories and make you feel younger than ever. Your partner will be extremely happy to take this ride. There are more occasions that you can celebrate at the high altitude and make the day memorable. Whenever you are bored, you can open those pages of your life and smile. You will have the best memories lingering to your mind that will be worth cherishing. Be it Paintball, Go Karting or Microlight Aircraft joyride, you will have the best time doing each of them. Only things to keep in mind are the weather forecast, right time of the month or year or the right partner or partners. You will have a blast with your partners in crime and trust me! There wouldn’t be a day when you won’t recall the days with happiness and joy. If you are interested in booking, you can trust 365hops.com that has been fulfilling the travel and adventure dreams of travellers and adventurers. It is your turn now. So, make the best out of the opportunity and visit the website frequently for exciting offers. While paintball and Go Karting are exciting and meant for a group of friends, Microlight Aircraft is focused on small group especially couples who like to commemorate their love and passion differently. 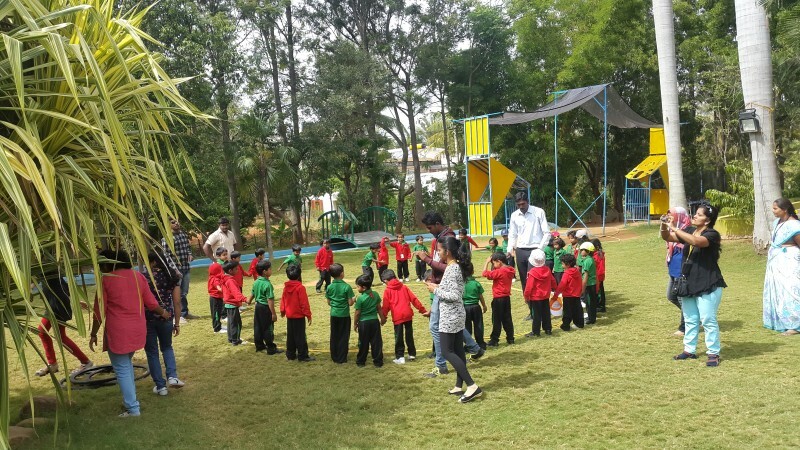 Be proud that you have tried any of the activities as these are the activities that bring out the child in you making you more enthusiastic, energetic and motivated for the mundane work. Don’t delay your trip because we don’t want you to be lingering on to the thoughts of being there and spoiling your weekdays compromising on the level of concentration. Book now and have the most adventurous days of your lives in the most inexpensive ways. This entry was posted in Microlight Aircraft Flying, Paintball and tagged Angsana Bangalore, BANGALORE, Delhi, Electronic City, Go Karting, Gurgaon, Joyriding, Microlight Aircraft Flying, Paintball in India, Ramanagara, Sarjapur, Yelahanka.